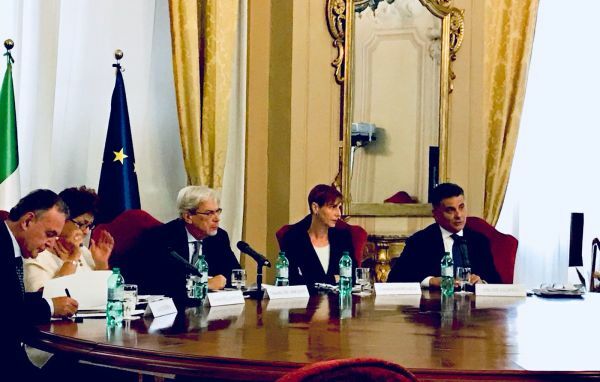 On 5 October, The OECD National Skills Strategy Diagnostic Report – Italy was presented at the Ministry of Economy and Finance. The report identifies challenges and policy areas for skills development and aims to draw up strategies to tackle Italy’s low skills equilibrium, that is low supply of skills accompanied by low demand from firms. At the beginning of 2016, the Italian Government, in collaboration with the OECD (Organisation for Economic Cooperation and Development), started the National Skills Strategy programme, following the model applied in different countries supported by the EU commission in order to face up to common challenges and capitalise on the experience gained in different contexts. The project was carried out through the collaboration between the national inter-ministerial team, composed of representatives of the ministry of economy and finance, the ministry of labour and social policies, the ministry of economic development, the ministry of education, universities and research, the presidency of the council of ministries and the OECD. Indire is one of the more than 200 stakeholders who contributed to this project. The OECD Skills Strategy proposes a strategic framework for tackling Italy’s low skills equilibrium based on four pillars: developing relevant skills; activating skills supply; using skills effectively; and strengthening the skills system. Applying this framework, the OECD has identified 10 main skills challenges for Italy, drawing from workshops with the Italian Inter-ministerial team, stakeholders, experts and government representatives, and through data analysis. The presentation conference was introduced by the Minister of Economy and Finance Pier Carlo Padoan, and moderated by the Coordinator of the National Skills Strategy team, Daniela Marchesi. The project results were presented by OECD general secretary, Angel Gurrìa. The discussion was participated by the European Commissioner for Employment, Social Affairs, Skills and Labour mobility, Marianne Thyssen; the Undersecretary of State at the Ministry of Education, Universities and Research, Vito De Filippo; the Undersecretary of State at the Ministry of Labour and Social Policies; the Vice Minister of Economic Development Teresa Bellanova; and the Minister of Territorial Cohesion and the South, Claudio De Vincenti. The importance of the recent Italian reforms of labour market policies (Jobs Act, 2014), the education system (La Buona Scuola, 2015) and the introduction of innovative strategies (National plan for digital school, 2015, national three annual plan for 4.0 industry 2017-20) was emphasised during the speech of the OECD general secretary, Angel Gurrìa and in the discussion which followed. Gender, generational and geographical divides were often mentioned as curbing factors in skills development. Among the country’s priorities, it was emphasised the need to increase skills offer and demand by promoting the employability of young people and low-skilled individuals, and by enhancing managerial skills and entrepreneurship.